 At Primera Med Spa, we offer an array of injectable treatments to improve some of the most bothersome signs of aging without surgery. These FDA-approved products, which include Restylane®, JUVÉDERM®, and BOTOX® Cosmetic, help our Orlando-area patients smooth lines and wrinkles, and even replenish areas of lost volume. The precise, adaptable nature of these products allows our skilled injectors to create a customized treatment plan just for you - one that, in most cases, lets you get back to your favorite activities right away. Rather than fill in wrinkles BOTOX Cosmetic works by temporarily relaxing the muscles that cause wrinkles. This makes it especially appropriate for wrinkles that form due to repeated facial expressions, such as squinting or frowning. BOTOX is great for crow's feet, vertical frown lines, and horizontal forehead furrows. Using the same active ingredient found in BOTOX Cosmetic, Dysport smoothes and relaxes away dynamic wrinkles of the upper face. Although the 2 products are similar, Dysport's smaller molecules often make it a better option for certain areas of the face or for certain patients. Some patients respond better to one product than the other, but both create impressive, natural-looking results. During your consultation, your injector helps you decide whether Dysport is the right injectable for you. This hyaluronic acid-based filler is one of the most popular products available for filling lines and wrinkles, especially those around the nose and mouth. We also use JUVÉDERM to enhance the size and shape of the lips. Closely related to traditional JUVÉDERM, VOLUMA XC is intended to add volume to the cheeks, especially if they have begun to flatten and sag due to aging. Long-lasting VOLUMA can add noticeable shape for up to 2 years. The consistency of this hyaluronic acid filler makes it especially appropriate for several areas of the face and neck, including marionette lines, smile lines, and even depressed scars. Sculptra uses a biocompatible ingredient called poly-L-lactic acid to add long-lasting volume to areas that have been impacted by age-related fat loss - especially the temples and cheeks. Like Restylane and JUVÉDERM, Perlane uses hyaluronic acid to add soft, subtle volume to wrinkles, lines, and thin lips. Its larger molecule size makes it a good choice for deeper injection. RADIESSE is comprised of small calcium microspheres suspended in a smooth gel carrier. This encourages the growth of your body's own natural collagen, which forms a scaffolding around these microspheres. As they are eventually metabolized by the body, only your own collagen is left behind - for lasting, natural volume.